"It is a measure of Professor Samuelson's preeminence that the sheer scale of his work should be so much taken for granted," observes a reviewer in the "Economist" who goes on to note that "a cynic might add that it would have been better for Professor Samuelson to write less merely to give others a chance to write at all." 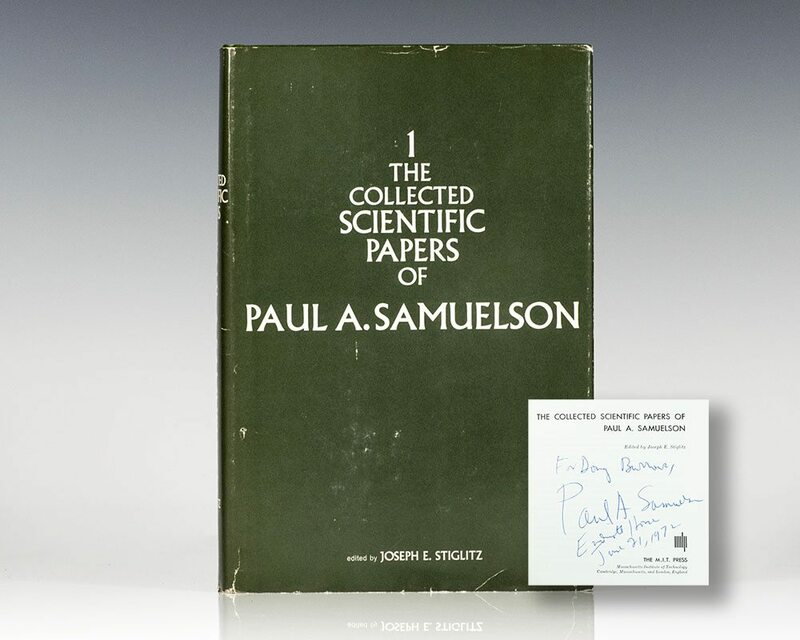 In fact, Samuelson's output, his "extraordinary mastery of methods, both mathematical and linguistic" (review of Volume 4 of "The Collected Scientific Papers"), have not diminished. Volumes 1 through 4 encompass more than 280 articles. The first two contain virtually all of Samuelson's contributions to economic theory through mid-1964; Volume 3 contains all the scientific papers written from mid-1964 through 1970, and the last volume brings his work up to through 1976.